The Chill Room, 7 Dec 2012, 10pm PST, on killradio.org. 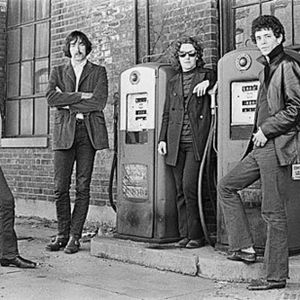 A survey and history of the Velvet Underground, chronologically arranged. Not really designed for beginners, this is a listen into the darkness AND the light. With thanks to Richie Unterberger, Mr Wilkinson, Clinton Heylin, my live listeners, killradio.org, wfmu.org, and radio4all.net. Comments welcome, please! If you know of any other Velvets tapes out there, tell me about them. Further listening: Velvet Crush, a 2007 Chill Room on the Velvets, featuring the Cale era, and including the infamous Sweet Sister Ray from La Cave in April 1968, is available at http://www.radio4all.net/index.php/program/21222. Ohhh sweet rock and roll, it&apos;ll cleanse your soul.